While the US celebrated the fourth of July, Diamond Select Toys has released their first look at the Marvel Select Spider-Man Homecoming action figure. Technically there were two Spider-Man costumes used in Homecoming but the one that would generally sell more is the tech suit given to Peter Parker by his mentor Tony Stark. The Marvel Select Spider-Man Homecoming figure stands at 7 inches and will retail in the US for $25. The actual figure was designed by Gentle Giant Studios and will be available this month in the states. 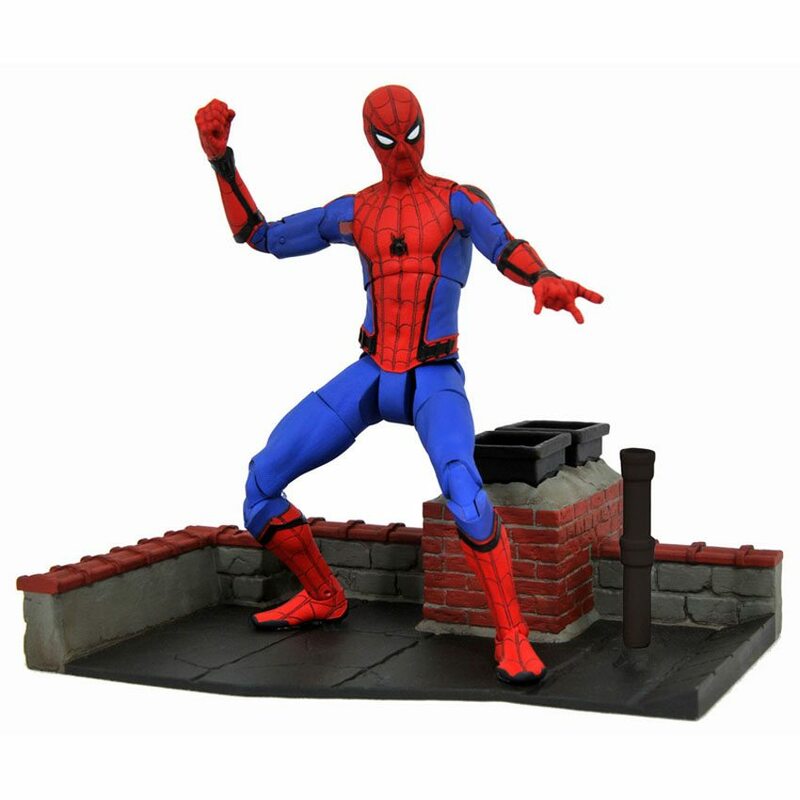 After his eye-opening appearance in Captain America: Civil War, making a figure of Spidey for Spider-Man: Homecoming was a no-brainer, and this 7″ tall figure features 16 points of articulation as well as interchangeable parts. Packaged in display-ready Select figure packaging, with side panel artwork for shelf reference. Sculpted by Gentle Giant Studios! Let’s Help Kickstart this Teenage Mutant Ninja Turtles Toy Encyclopedia!